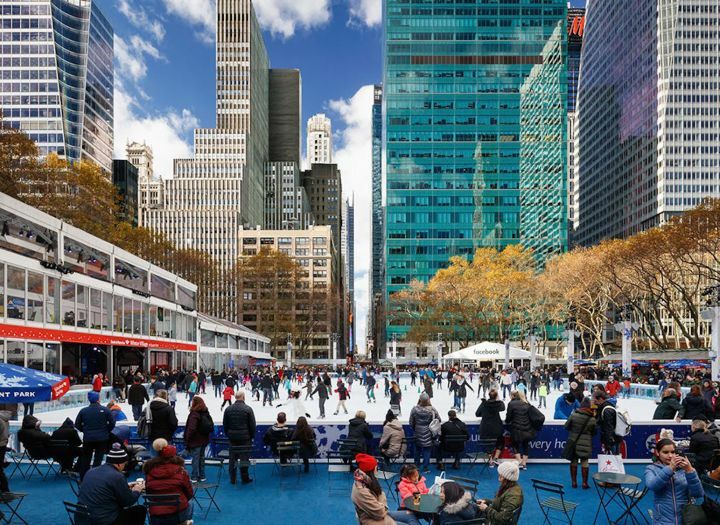 Bryant Park’s Winter Village is a treasured tradition in NYC, bringing together an array of specialty food vendors, artisanal gift stalls, and NYC’s only free skating rink. Whether you’re getting ahead on Christmas shopping or bringing the kids to skate with penguin-clad skating coaches, the Winter Village gives any day a glow of NYC magic. For more information, visit the Winter Village website. Photo courtesy of BryantPark.org.